Whether you call it The Open, The British Open or The Open Championship, it doesn’t matter, because the third major of the year is here! There has been a surge of links golf on the European Tour recently at Ballyliffin and Gullane Golf Club for the Irish and Scottish Opens but now all attention turns to Carnoustie for The Open. Our Chief Holiday Officer, Lee Westwood, will be competing in his 24th consecutive Open Championship this week and recently told us, the players enjoy playing links courses much like us fans enjoy watching them on tv….but what about playing them? Well, unlike other majors which are much less accessible to UK based golfers, many of the courses on The Open Rota are playable, making the spectacle all the more engaging for the fans. 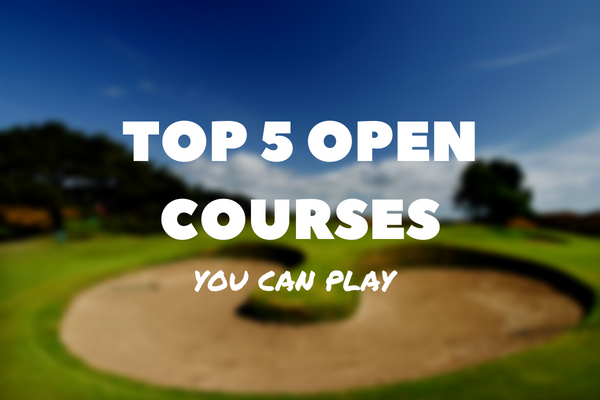 Below we have listed the top 5 courses you can play from The Open rota, excluding this year’s host Carnosutie, which you can certainly play once this week has been settled. As the only course outside of England and Scotland to host The Open, Royal Portrush is set to do so again next year, 68 years after it did the first time. Dunluce Links is the championship course at Portrush and boasts a truly stunning layout which lends itself to the truest of links tests; tough seaside conditions, imposing dunes and an abundance of risk-reward opportunities confirm this. 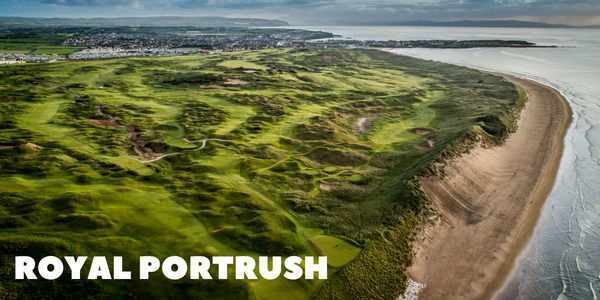 Want to play at Royal Portrush before the likes of Rory McIlroy and Tiger Woods head there next year? We just looked ahead to next year so why not take a trip down memory lane to the 2017 Open Championship host. Royal Birkdale has hosted The Open no less than 10 times and is widely considered as England’s best course and certainly in the top 3 in the UK. 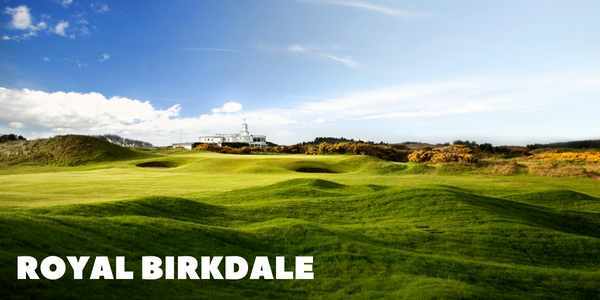 What makes Birkdale so good as a course is that it can seriously challenge the elite pros on Open week but it is not too daunting for the average golfer to play. If you want to follow in the footsteps of Jordan Spieth and produce some magic at Royal Birkdale, why not check out our latest deals? Despite hosting nine Open Championships in its time, Royal Troon will always be best remembered for the most recent tournament. Henrik Stenson and Phil Mickelson fought tooth and nail in an epic battle which saw ‘Lefty’ set the course record but Stenson take home the Claret Jug. The course is a classic Scottish links layout which is enjoyable for golfers of all handicaps to play; a word of warning though, do your best to score on the front nine while the wind is fair, the back nine plays up towards the coast and can be quite punishing. That said, you will encounter what many believe the world’s best par-3, with one of the smallest greens on the famous 8th hole, The Postage Stamp. 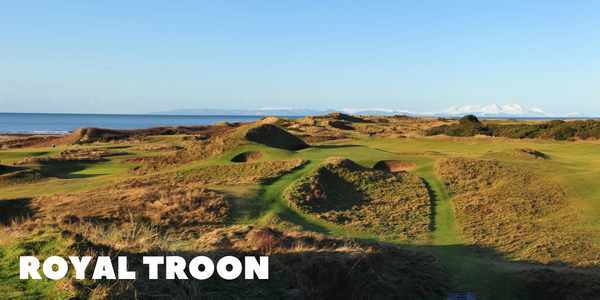 While slightly more expensive than other host courses, Royal Troon is a real treat for golfers who want to experience the test of a major championship. 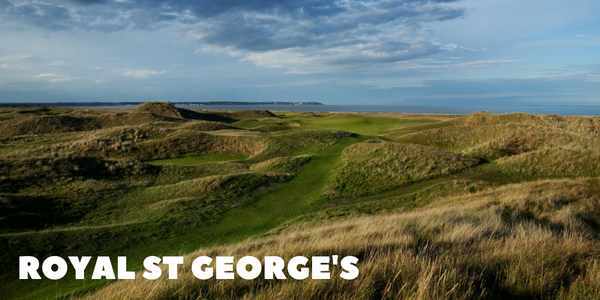 Another one of England’s greatest courses is at Royal St. George’s, where golfers have contested for The Open 14 times. Last time out Darren Clarke won his maiden major trophy in 2011 while The Open is set to return to Kent in 2020. The course itself is one steeped in history and plays as a traditional links layout, after all the first ever major here was in 1894. 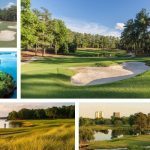 Heavy bunkering, towering dunes and breezy conditions are enough to test any level of golfer, allowing fans to enjoy a round on the same turf as the pros. Why not head to Royal St. George’s on your next UK golf break? 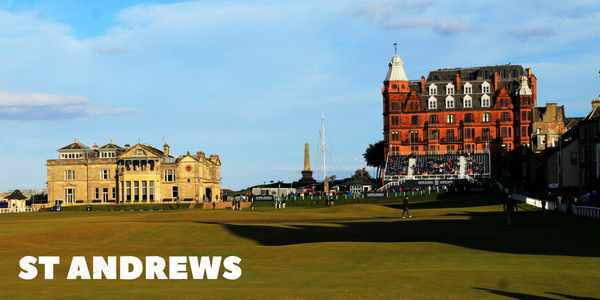 As the ‘Home of Golf’ and the oldest course known to the world, the Old Course at St Andrews is quintessential of everything The Open Championship stands for. 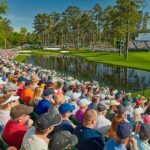 Every five years (six on occasions), the Claret Jug returns to the famed layout in Scotland and is next returning in 2021, an unmissable event on the golfing calendar. From the iconic wide fairway at the 1st, the imposing Old Course hotel on the 17th and of course the 18th’s majestic R&A Clubhouse, there is no doubting the incredible pedigree of this historical course. 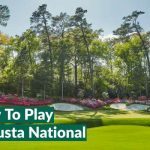 Of course, like all the rest on this list, you can play the Old Course at St Andrews and test yourself on some of golf’s most renowned holes. If you want to leave the golf to the pros and head to The Open Championship as a spectator, why not browse our 2019 packages?